As a network type, it’s hard not to be excited when heading to a Networking Field Day event. I joined then NFD club by attending NFD14 and have been hooked ever since. Not only is it an honor and a privilege to be invited to an NFD event, the personal relationships that are forged in the larger TFD community are some of the most valuable I’ve ever had in my career. This go around we’ll be visiting Aruba (A Hewlett Packard Enterprise Company) in Santa Clara to deep dive on the newest addition to the Aruba product line – the 8400 core switch. It’s been a while since anything exciting happened in the world of campus networking. It’s a steady segment for most vendors but nothing disruptive has really happened in the last few years. And that’s not incredibly surprising. For better or worse, as long as campus networks aren’t broken in most enterprises, they are often neglected in favor of the data center and cloudy pursuits. Aruba is touting the 8400 to increase automation and visibility in the campus core – both are areas that network engineering teams have traditionally struggled to implement. Couple that with a brand new API enabled NOS that has built-in analytics and Aruba may have a serious claim on the ‘game changing’ campaign it has been running since announcing the 8400 in June 2017. Speeds/Port Density – The speed/port density specs for the 8400 read more like a data center switch than a campus core which means even the largest campus networks will have plenty of available ports with up to 100 gig if needed. Security – Encryption at wire speed is becoming more and more of an issue as new security and compliance requirements force network teams to treat private links that were previously trusted as untrusted. The availability of MACSEC on linecards is big plus. Automation – In reading the product literature, one of the differentiating factors listed is the ability to automate manual tasks like the provisioning of network switches to support wireless access points. This is a task that can be fairly daunting in a network with a large number of switches and no automation. I’ll be interested to see how the ‘zero touch’ provisioning for APs that Aruba describes actually works. Visibility/Troubleshooting – Enhanced visibility and troubleshooting tools are a welcome feature for any engineering team. Aruba has developed a Network Analytics Engine that is listed as being at the heart of this set of capabilities. Onboard network analysis modules have been tried before by other vendors with varying degrees of success and so it will be interesting to see what Aruba’s take is on built in analytics. Virtual Switching Framework – As a designer of networks, i’m a big fan of leveraging link aggregation in my designs for path redundancy coupled with switches than can support multi-chassis LACP. 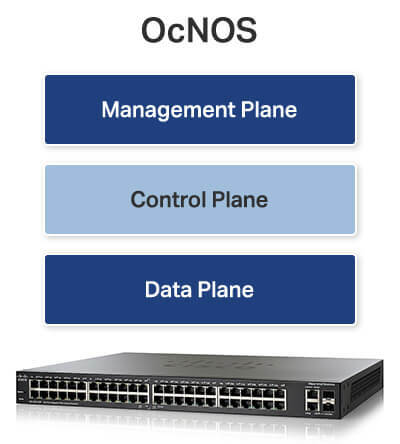 The 8400 supports Aruba’s Virtual Switching Framework which allows both chassis to work together in similar fashion to a switch stack which allows for a single LACP channel to contain links in two different chassis. While this isn’t a groundbreaking feature, it’s critical to competing in the campus core market. Complete REST API – Aruba describes the REST based API in this blog post as having access to “every network function and state, both persistent and ephemeral, within the switch.” This opens up a world of possibilities for integration and automation into enterprise applications as well as automation/orchestration engines. Code maturity – The Aruba OS-CX network operating system seems to be the heart and soul of the new switch. As with any new NOS, one of my first questions is around interop and bug testing. What interop testing has been done and what are the results from current field deployments? Software licensing and support – Software/feature licensing and support can be a source of frustration fro enterprise clients. Understanding the software and support model that Aruba uses will be one of the initial questions that I have. Depth of the L3 feature set – As much as we try to avoid complexity in the core, sometimes advanced features in OSPF and BGP are needed such as dynamic routing within a VRF or a complex set of REGEX values to build a route map for a BGP peer. One of my goals in attending this NFD is to better understand the capabilities of Aruba’s routing stack in OS-CX. Often the opinions we have on new technology are shaped by our daily work. As someone who is frequently engaged in whitebox integration, disaggregation has become more and more prevalant in my daily work. I suspect the decision by Aruba to use a chassis to offer port density rather than a disaggregated leaf/spine architecture stems from the lack of demand by enterprises to use leaf/spine in the campus. Chassis is what everyone is comfortable with and expects to implement when designing the campus core. As such, nobody in the world of disaggregated networking has taken aim at the campus from a software standpoint. That said, it will be interesting to see if a small leaf/spine core is considered for future hardware iterations of the OS-CX family aimed at campus deployments. As I write this, I’m enroute to #NFDx and am looking forward to the presentation by Aruba so that we can deep dive and really understand what makes the 8400 tick and the problems Aruba is trying to solve. Please tag me @stubarea51 on twitter with the #NFDx hashtag if you have questions you’d like to ask Aruba about the 8400.